BlogHome » Authentic Public Speaking & Leadership – Blog » Authentic Public Speaking & Leadership – Blog » Breathe. I’m going to share an ancient secret, regarding confidence, power and creativity with you. I’m also going to share some cutting edge scientific research on the same topic. Surprisingly, as we’ll see, they both point in the same direction – the power of breathing. I know what many of you may be thinking. “I’ve been breathing for many years –I don’t really need to be told that it’s a good idea, or how to do it”. And, of course, you’re right – you all know how to breathe. But this ancient and modern wisdom isn’t about the fact of breathing, it’s about the detail of how we breathe and how doing it more consciously and effectively can really serve us as human beings, leaders and speakers. What the ancients knew is that breathing consciously – with technique and intention is powerful. It can be used to calm us down, to give us greater access to wisdom and clarity and to connect us with our purpose. These insights are enshrined in certain branches of yoga and some esoteric Buddhist practices. I first came across them 15 years ago when I was studying pranayama yoga and personally experienced what a difference conscious breathing can make to my sense of power and confidence. I recently came across a terrific book which contains a wealth of scientific research on the very same subject, and which sheds a considerable amount of light on why these ancient practices work. What I discovered on reading it was amazingly helpful and inspiring, and I’m excited to share these insights with you. In order to understand this latest research, we need a to start with little neuroscience about the relationship between our multiple brains. Yes, you read me correctly – the latest neuroscience research suggests that we have (at least) 3 brains. The first brain you are probably pretty well aware of, it’s the brain located in your head. The second two are most likely less familiar, but believe it or not you also have a brain in your gut and a brain in your heart. Large numbers of neurons and ganglia, including sensory neurons and motor neurons. (This definition, along with much of the science I’m quoting comes from the book mBraining, where a fuller version is included). By this definition, you have a complex and intelligent “brain” in your gut, which research shows has over 500 million neurons. This is equivalent in complexity and size to a cat’s brain. You also have a brain in your heart, which though somewhat smaller also constitutes a powerful and functional brain. In other words, each of these brains constitutes the right tool for a given function or job. If you want to know about your core values – ask yourself what’s closest to your heart. If you want to know whether you can trust someone – ask what your gut has to say on the subject. If you reflect on this for a moment and look to your experience, I’m guessing that this may resonate as true for you. There’s a huge amount that can be said on the subject of these multiple brains, what they can do for us and how they can most effectively interact with each other (if you’re interested in more detail on this visit mbraining.com ). For today’s purposes I want to talk about how we can get these 3 brains communicating with each other. If we have these 3 sources of intelligence, but they’re not on speaking terms, then we’re not going to be firing on all cylinders. If however our 3 brains are in communication we’re going to find ourselves operating in a way which is more congruent, powerful and intelligent. Happily, there is a simple tool that can be used to get all 3 brains in communication, and as you’ll have guessed by now it concerns a particular way of breathing. This way of breathing is balanced breathing. It turns out that the diaphragm (a muscle which is key in breathing) is co-innervated by major nerves from both the head and gut brains, which makes it a very useful tool for getting them joined up. Most of us habitually breathe in a way which is both shallow and asymmetric, which is fine for “getting by” but is a long way from optimal, especially when we want to connect up our intelligence. By simply breathing deeply into and from your diaphragm for an in-breath of about 6 seconds and out for the same length of time (constituting a 12 second) cycle, we can get the head and gut brains working better together. Breathe out for 6 seconds allowing yourself to relax as you do so. 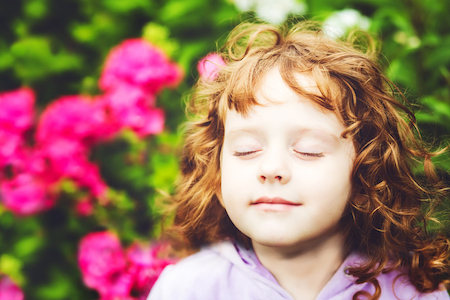 Notice and enjoy the transitions between the in and outbreath and allow the transitions to be as smooth as possible. Notice any effects in your body and mind as you repeat this sequence. When you stop the exercise take some time to be aware of any changes in your mental, physical and emotional states as well as your overall state of being. Notice what’s different in how you’re experiencing the world and your ability to respond differently to whatever challenges you are facing right now. Now that we’ve connected the head and gut brains, it’s time to bring the heart brain into play. In order to do this all you need to do is bring to mind any person, place or scenario that evokes strong positive emotions in you, whilst breathing into your heart area. Once your breathing has been balanced for 2 mintues bring to mind an image or memory of any person, place or scenario that produces strong positive emotions and feelings for you. This might be a childhood memory, a great achievement from your life or a person or place you love. You may wish to give a label for the positive feelings you’re experiencing such as happiness, peace, joy etc. As you bring to mind this person, place or scenario and feel these feelings breathe into your heart area and feel your positive emotion filling your chest and heart area with each breath. Feel any tensions and non-complementary emotions leaving your body with each exhalation. Still maintaining your balanced breathing imagine and feel your positive emotion expanding upwards into your head brain. As you continue from your heart into your head, notice how your thoughts and perceptions change when they are connected to your heart and its positive emotion. Whilst maintaining this connection between your head and your heart breathe back down into your heart area. Now continue to breathe this positive emotion from your heart down into your gut area. Feel your lower abdomen naturally expand as you inhale while keeping your spine straight. Imagine and feel your positive emotion filling your lower abdomen/gut area. Become aware of the changes to your sense of “self” e.g. changes in body sensations and the releasing of muscular tensions, increased feelings of self-confidence and safety/security and an upgrading of how you can “be” in this present moment. As you fully experience the changes in your gut intelligence, breathe these changes back up into your heart. Allow each balanced breath to send the signals upwards from your gut to your heart and feel the connection between these two brains. Now breathe once again mainly into your heart area. With each balanced breath, experience your positive emotion flowing through the connections between your heart, head and gut brains. Expand that flow throughout your entire body and notice the changes to your overall wellbeing with an enhanced/expanded sense of who you are in the world. There’s a huge amount more detail, and many more exercises in the mBraining book. If you’re interested in exploring this area I can highly recommend getting hold of it and reading it in detail. Give these exercises a go now and before any challenging situation in leadership or public speaking. I’m pretty sure you’ll notice powerful positive effects. If you do try these exercises, let me know how you get on by email or in the comments below. It really excites me that only the scientific research part of these techniques is new. As I stated at the top of this article, these methods have been known to Taoist, Buddhist and Yoga practitioners for hundreds of years. I’ve been using similar conscious breathing techniques with great success as part of my public speaking and leadership training (and of course when I speak in public and lead workshops) and it’s exciting for me to see the science catching up and now adding to the practice. I’m also keen to undertake more research into the integration of other mBraining technologies in these areas, so watch this space. Repeat 2 or 3 times in total. So there you are. Some amazingly powerful and portable technologies combining ancient wisdom and modern science – utilising something we all take for granted. The breath. Give it a try and do let me know how you get on.